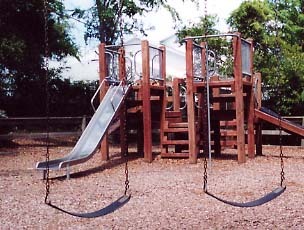 The Association has a playground near the reserved parking area that can be enjoyed by the children and parents of the complex. 1. Playground is for the exclusive use of Ocean Links residents and their guests. 2. The playground is for the use of children 12 years and younger. 3. No pets allowed in the playground area. 4. Play at your own risk. 5. Children must be accompanied by an adult.